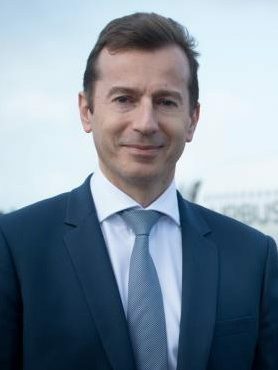 Guillaume Faury, Airbus President Commercial Aircraft, was appointed to the role in February 2018. Previously he was President & Chief Executive Officer Airbus Helicopters, since May 2013. A licensed flight test engineer, Guillaume Faury joined Airbus Helicopters from Peugeot SA, where he served as Executive Vice President for Research & Development and as Member of the Managing Board. Between 1998 and 2008, he held several executive positions in Eurocopter operations and commercial domains. In addition, Faury was a member of the Eurocopter Executive Committee. He started his professional career with the French Defense Procurement Agency DGA, where he was in charge of the Tiger helicopter flight test activities at the Istres Flight Test Centre. Guillaume Faury holds an engineering degree from the Ecole Polytechnique in Paris as well as an aeronautics and engineering degree from the Ecole Nationale Supérieure de l’Aéronautique et de l’Espace in Toulouse.